Elsa is almost eight, and she’s different. Her granny is her only friend, and together they fly off every night to the Land-of-Almost-Awake, the fantasyland where all Granny’s fairy tales take place. When Granny dies, she leaves behind a series of letters apologizing to people she has wronged, and Elsa must deliver them. These letters lead Elsa on her greatest adventure, crossing paths with drunks, monsters, wurses, and princesses along the way. Her journey ultimately leads her to the origins of her grandmother’s fairy tales and the Land-of-Almost-Awake; though she always knew her grandmother was special to her, she had no idea how special she was to others. As I make my way through the books I brought home from BEA, I occasionally wonder what made me pick some of them up. 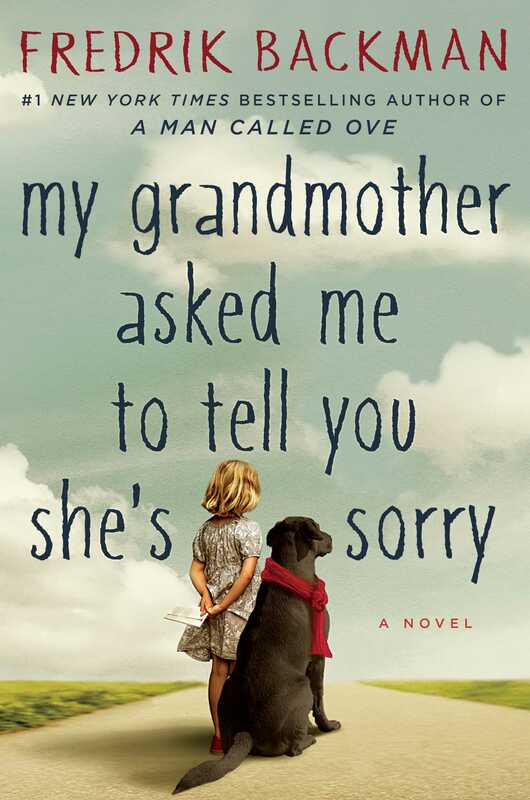 I wondered that briefly with My Grandmother Asked Me to Tell You She’s Sorry—until I started it. Backman’s Elsa is delightful, as is her Granny. It took me a while to read just due to life happening, but I know that if I had had the time to really sit down and absorb it, it would have taken a few days at most. In an apartment building full of odd characters, Elsa’s granny is undoubtedly the oddest—she’s been known to shoot paintball guns at unsuspecting passers-by in nothing but a robe that may or may not be flapping open—until Elsa gets to know each of them via the letters. Their stories are all intertwined, with Granny as the common thread, and they all have their own special tragedy. Granny was in the business of saving people, as it were, both from external forces and from themselves, but her work wasn’t quite done…and only Elsa can complete it. There’s a lot I want to say about this book but not a lot that I can actually put into words. It made me tear up quite a bit at the end (which, luckily, comes with plenty of resolution for my fellow open ending-haters), and there was some great suspense in the middle surrounding the origins of some of the stories. Elsa’s narration is exactly what you’d expect from a “different” almost-eight-year-old whose only friend is her eccentric grandmother: it’s straightforward, it’s sassy, and it’s incredibly touching. Argh, this book is so hard to talk about because it’s really several stories in one, and they’re all so lovely and heartrending and wonderful—and you should read it. Great review! I’ve had this one on my shelf for a while and had fully intended to read it WAY before now – I even went so far as to buy the author’s previous book as well – of course, as is usually the case, I haven’t had a chance to get to it! Hopefully I’ll be able to squeeze it in the next few weeks ’cause your review is making me feel even more guilty about it lingering on the shelf.